Are floating videos good UX? I've seen some sites and apps where videos float on page scroll. Pretty recently, Facebook website rolled out this feature and received a bunch of complaints from its users. I don't know if this is how the majority of its users feel or it's just a vocal minority. The YouTube iOS app does this as well - particularly the main video page where the video sticks and floats up top as you scroll down to the comments section. Some hate this feature and argue that when users scroll down, it's indicative that they no longer want to see the video so why float it? But for most people, wouldn't you normally hit "Stop" if you no longer want to watch a video before scrolling past it? Floating videos can be good, but they can also be be bad. Super vague answer, but it really depends on what the user is expecting, and the purpose of the app. 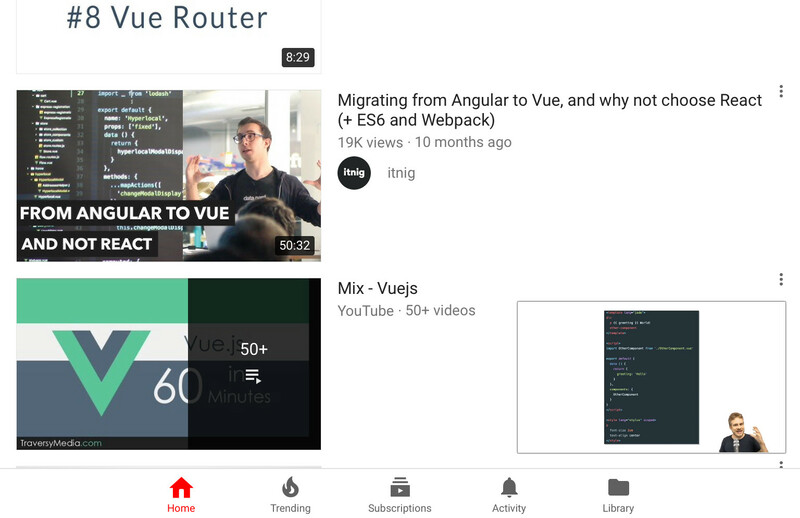 In the YouTube app, it isn't uncommon for users to browse for different videos while one is playing (either because of boredom or interest in similar videos). There are also comments which can provide additional information relevant to the video. 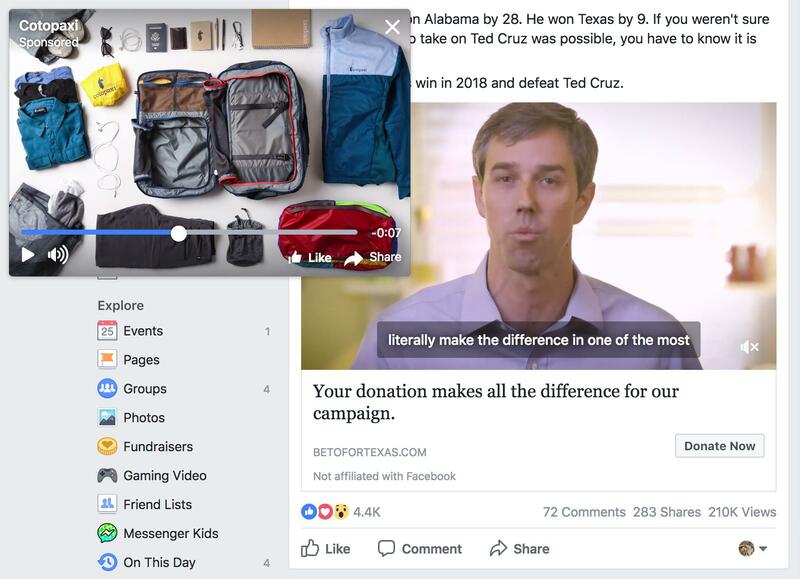 On Facebook, when you scroll away from a playing video, you never more content relevant or similar to the video being played. In fact, the success of the New Feed feature is tied to the idea that a bored user can just scroll to see new content. Constant surprise and delight. Now, have you ever tried listening to a video playing while reading a completely unrelated article or browsing photos of your friends? You can only pay attention to one or the other. Floating videos are useful when the user might want to lightly engage in related content such as browsing for the next thing to watch. Floating videos are unsuccessful when the content behind the video is unrelated or requires the same level of attention as the video requires. Worst! Some of the sites(CNN) autoplay videos. As per my knowledge there is no case study done on this. They are terrible IF the user has no control over dismissing the window to a video and keeping them from playing again. I mean, there is a common sense answer to this that few websites implement, which makes me question the intelligence of the webmasters. Not the answer you're looking for? Browse other questions tagged interaction-design user-behavior user-expectation user-research user-centered-design or ask your own question. What are some good examples of using participatory design in user research? Are multiple filter options good for mobile?